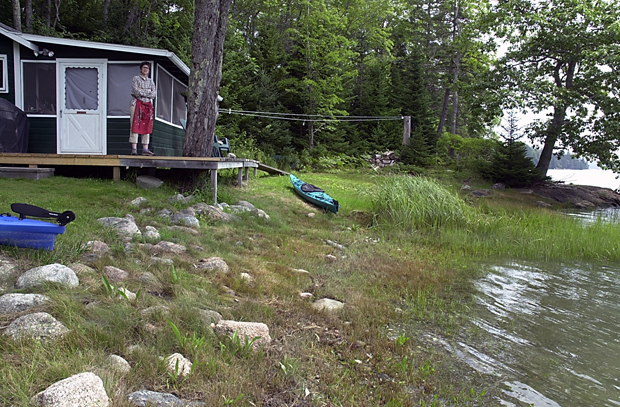 I went to Deer Isle, Maine to see Janis Goodman. 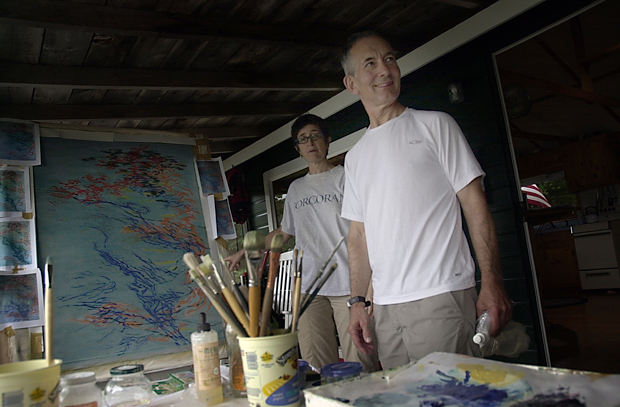 She is an artist and art critic living in Washington, D.C., who has been coming to this summer cabin to paint for the past 25 years. 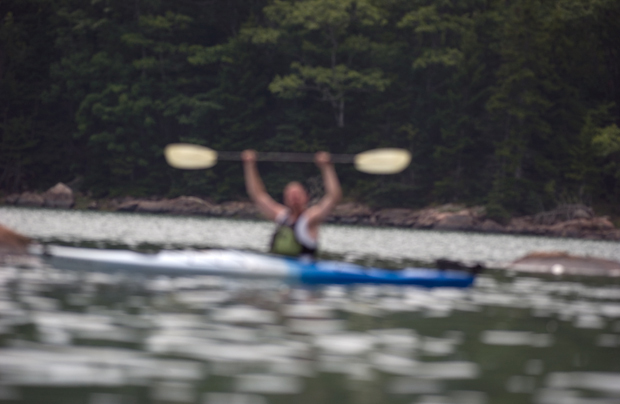 Andy Grundberg is a photography critic from D.C. He also comes to Maine to vacation during the summer. He told me that his first full-time job out of college was a copy editor, just like me. Awesome! Andy asks about a small camera I am using. Andy and Janis hold for a kayaking picture. They are both professors at the Corcoran College of Art in D.C.; where I went to school. 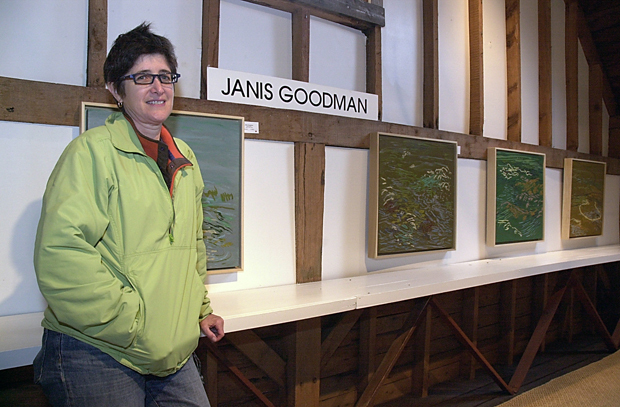 Janis had many paintings in a show at Turtle Gallery on Deer Isle. Before I had ever been to Maine, I wrote about similar series of Janis' drawings inspired by the mudflats of Deer Isle. 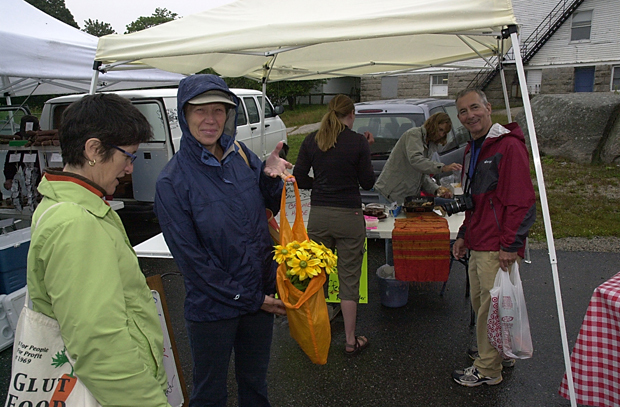 Mary, Andy's wife, displays flowers bought at the farmers' market on Deer Isle. 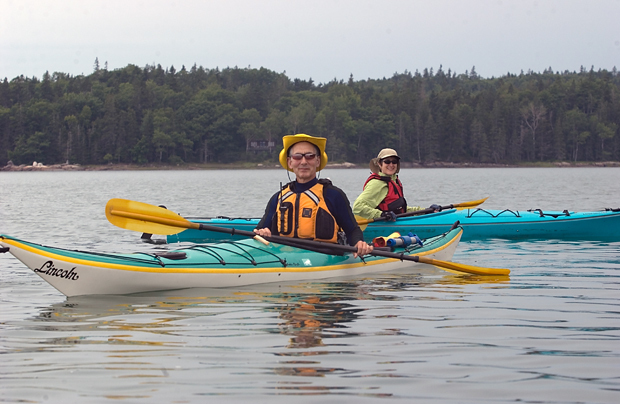 Back across the Deer Isle Bridge from Little Deer Isle to the Maine-land.